You need a solution that moves at the speed of your business and will support you in your successes - and your emergencies. Our service was built, from the ground up in the cloud, to solve the data-rich problems of tomorrow. Our multi-tenant architecture guarantees service-levels while also allowing our customers to take advantage of available capacity when they need it most. Our microservices-based solution instantly scales each component of the architecture to meet customer demand. This means that our service will never lock you out or slow you down - no matter how much data you send or how many people use it. Our customers depend on Sumo Logic to make real-time decisions and power their businesses. 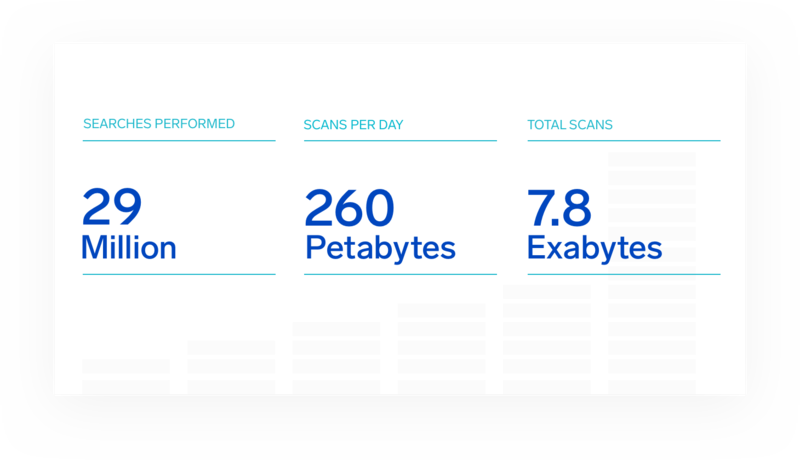 That means that we process hundreds of petabytes of data across tens of millions of queries daily - all without breaking a sweat. How does our architecture work? You can easily, and securely, collect your data no matter where it is - cloud, 3rd party applications, or on-premise. We support a large ecosystem using native cloud integrations, low-impact collection agents, open source tools like FluentD, Prometheus, and CollectD, and open collection APIs. Our world-class data pipeline allows our customers to instantly enrich and process their data at scale on ingestion. Sumo Logic users can add additional metadata, optimize data storage, and even convert unstructured to structured data - all in order to provide the best experience for their teams. Modern observability is built on more than just one type of data - logs, time-series metrics, and events. Our architecture optimizes data ingestion and processing to make the most out of all of your data and give you the best analytics performance. Modern business requires split-second decision making. Sumo Logic’s real-time alerting and dashboarding means that you will never miss an issue - no matter how much data you have. Not all data is created the same, and our architecture gives you the tools to optimize your data for your use cases. Sumo Logic’s CloudFlex platform optimizes for analytics performance as well as cost - caching critical performance and security data, while de-prioritizing less timely data.